The long-awaited first game from Respawn Entertainment—the studio helmed by the creators of Call of Duty—will be exclusive to the next-gen Xbox, according to two unrelated sources familiar with the game. One of our sources indicates that there will also be an Xbox 360 version, but no versions for rival PlayStation and Nintendo consoles. Oh, you didn't think the console wars were over, did you? The new game from Respawn is a futuristic multiplayer-centric online shooter, one of our sources says. The source describes the game as a battle of Davids and Goliaths. The Davids are heavily-armed foot soldiers. The Goliaths are the giant exosekeltons—Titans—that these soldiers can pilot. These Titans are big mech-style walkers that move with an agility not seen in games like Mechwarrior or Steel Battalions. To keep the action balanced, game maps limit the number of Titans that can be used in a skirmish. Weapon loadouts for the foot soldiers are designed to ensure that the characters on foot can take out the Titans if need be. The source who described the game does not work at Respawn, but their description tracks with the long-reported desire by the former Infinity Ward team to make a sci-fi shooter. Earlier this month, other reporters noticed that Respawn had trademarked the word "Titan." An Xbox-only Respawn game would be a coup for Microsoft and a fascinating twist to a number of significant sagas. While the details of the game came to us from one source—a source who is in a good position to know what the deal is with Respawn's game—their assertion that the game is destined only for Microsoft console hardware was consistent with information another source gave us earlier this month. That other source had also told us that Respawn's game would only be for the Xbox brand. It is possible that the game could be a timed exclusive, but neither source indicated that was the case. An Xbox-only Respawn game would be a coup for Microsoft and a fascinating twist to a number of significant sagas. It has implications for publisher EA's rivalry with Call of Duty publisher Activision; for Microsoft's competition with Sony and, less directly with Nintendo; as well as for the ongoing debate about always-online gaming. Two sources have told us that this new game is, in fact, always-online. Respawn Entertainment was formed in 2010 following the ouster of studio chiefs Vince Zampella and Jason West from the Activision-owned Infinity Ward. The mega-publisher of Call of Duty, Guitar Hero and Skylanders accused the two of insubordination and plotting to jump to rival EA where, prior to making Call of Duty the men had made a Medal of Honor game. Zampella and West sued back as did dozens of Infinity Ward developers who bailed on the studio, many of whom to work with the former bosses. Zampella and West quickly signed a deal with EA to have that company, which creates its own Battlefield games to compete with Call of Duty, publish their first game. Litigation between the Respawn people and Activision has been settled. West has since left Respawn. Zampella recently teased that his studio would finally be showing their game at E3. Kotaku reached out to representatives from Respawn and EA for this story and will update this story should they choose to comment. When asked about the possible console-exclusivity for the game, a rep for Microsoft reminded us that the company does not comment on rumors or speculation. The new Respawn game's sci-fi setting would appear to distinguish it from EA's own modern Battlefield series. It might also finally deliver the sci-fi game that the heads of Respawn wanted to make at Activision but claimed they couldn't when the publisher pushed them to instead continue the Modern Warfare line of games. The references to Titans and the recent trademark could be a tweak at Activision Blizzard, whose Blizzard studios are working on a new massively multiplayer game—their first since World of Warcraft—that is codenamed Titan. Since Respawn's game is coming from EA, it may surprise gamers to think of it as a potential exclusive for the next-gen Xbox (codenamed Durango) and the Xbox 360. While the PS2/Xbox/GameCube era was rife with platform-exclusive third-party games, large gaming publishers have been shying away from releasing games exclusively on one platform in the PS3/360/Wii era. Occasionally, you'll have a Ni No Kuni only on PS3 or a Fez only, at first, on 360. Those modern exclusives, however, have tended to be the results of publishing decisions tied to regional popularity of the systems (Ni No Kuni was made first and foremost for a Japanese audience; the 360 struggles mightily in that market) or due to aggressive deals for independent games. The biggest modern gaming series series, the Call of Dutys, Need for Speeds, the Grand Theft Autos, and the like, have been released for most or all consoles, the better to sell the most copies. In the current hardware generation, publishers and platform-holders have preferred to craft deals for early access to downloadable content. Bethesda, for example, inked deals with Microsoft to release expansions to Skyrim first on the Xbox 360. Activision did the same with expansions to Call of Duty games, though the company revealed in February that it would give Sony's PlayStation 4 first crack at downloadable content for Destiny, the next game from Bungie Studios, the former Xbox-only makers of Halo. EA reps didn't take the stage at Sony's PS4 reveal event in February. Perhaps they were saving news of an exclusive game for Microsoft's May 21 next-gen Xbox reveal? One of our sources tells us that Respawn's futuristic shooter will be designed for multiplayer. In fact, they say, the game is always-online. The new Respawn game, one of our sources tells us, is made on a modified version of Valve's Source engine, not on internal EA tech. The source believes the game looks very good on Durango but not as good as EA's internally-made Battlefield 4. That source also says that Respawn is only working on the Durango version of the game and is hand-picking a studio to make the 360 edition. Respawn's Call of Duty games looked very good, but it wasn't their graphics alone that made them juggernauts. The games hooked players with a role-playing-game-style progression of weapon and skill unlocks, rewarding players with experience points for killing—or for assisting in the kills of—enemy players. Those points piled up, match after match, enabling players to unlock those new abilities and use them in future matches. Fittingly, one of our two sources for the new game tells us that Respawn's futuristic shooter will be designed for multiplayer. In fact, they say, the game is always-online. The always-online detail was also offered by our other source. We haven't been able to clarify whether the game would permit offline play. It's been widely reported by Kotaku and others that the Durango may require an online connection. While that detail remains in dispute, if Microsoft could promise a publisher like EA that all or most users of its console would be able to go online, that'd work well for a shooter with such a requirement. Notably, EA recently required PC gamers to have an online connection for SimCity, to some players' consternation. The difference here is that a multiplayer-centric shooter would seem to suit an always-online set-up. The Respawn game's multiplayer will operate on a grand scale, one of our sources said, with players picking between two massive factions and with all of their experience in the game counting toward the progress of their faction. The source said multiplayer would support 16 players but that Respawn would add AI-controlled characters to make the action more frenetic and to give novice players a greater chance to score some kills. Our source was less clear on whether the game would have a single-player mode but speculated that players might be able to go into maps and battle only against bots. 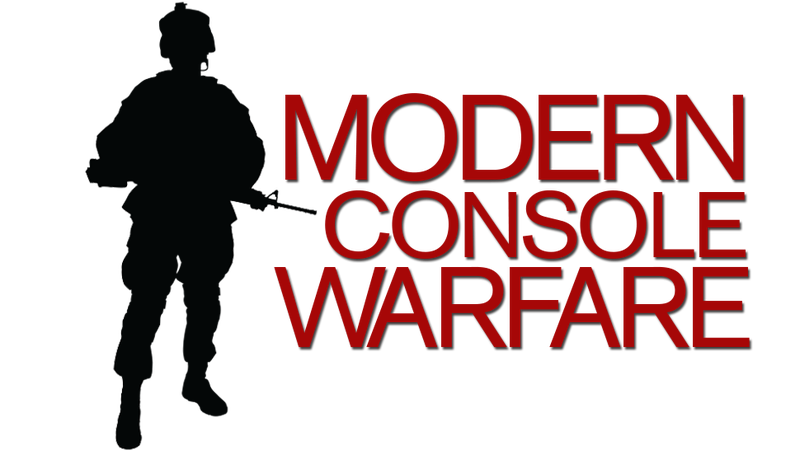 They did not think that the game would have a standalone linear campaign, which might disappoint those who enjoyed the excitement and narrative daring of Modern Warfare's solo campaigns. We've heard from other sources that Microsoft is not where they want to be at this point in the pre-launch development of Durango. A reliable source—one who was not part of our reporting about the Respawn game—tells us that Microsoft is as much as six months behind in producing content for the new console, despite an expected late-2013 launch. Another tells us that Microsoft recently cancelled several internal next-gen projects because they were not coming together as hoped. These sources have told us that, comparatively, Sony is in better shape and further along with hardware and software development for PlayStation 4. Our sources have told us that Sony is in better shape and further along with hardware and software development for PlayStation 4 than Microsoft is with Durango. We'd also heard from an industry insider that Microsoft was aggressively trying to sign exclusive games for Durango. Given the lack of internal development at Microsoft—their internal studios, while talented, are outnumbered by those of Sony and Nintendo—and given some of the apparent recent stumbles and slowdowns internally, signing an exclusive Respawn-EA game would suit the Durango quite well. While we can safely assume that we'll all see Respawn's game at E3, the source that shared the most specifics of the game with us said we shouldn't expect to play the game until some time next year. They expect it to be a full-sized, boxed retail game. Given Respawn's pedigree, there's a strong chance the new game will be good. But if it's truly Durango/360-only, multiplayer-centric and always-online, it will also be a test of buying habits, tastes, Internet connections and the allure of picking a next-gen Xbox possibly over anything else.